Simplicity™ Fluff Underpad, spunbond nonwoven topsheet and polypropylene backsheet. Fluff core provides moderate incontinent protection. 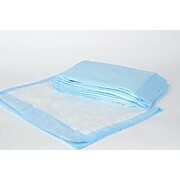 Wings™ Fluff Underpad with spunbond nonwoven topsheet, diamond-embossed and polypropylene backsheet. 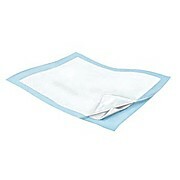 Fluff core provides heavy incontinent protection.